(VIDEO) News Regarding TSHs Prince Albert II and Princess Charlene of Monaco. On June 23, 2015, Their Serene Highness Prince Albert II and Princess Charlene of Monaco were in Palombaggia Beach on the island of Corsica to participate in the event, Water Safety. Organized by the Centre d’Enseignement et de Formation de Secourisme et de Sauvetage Aquatique 40 (CEFSSA 40) and the Fondation Princesse Charlene de Monaco in collaboration with Mairie de Porto-Vecchio last Tuesday’s event gathered 90 students, ages 7 to 11, to participate in “…planned workshops including basic first aid and raising awareness to the risks associated with the sea, discovery of the marine environment as well as aquatic rescue by using rescue tubes…” according to the Palais Princier. (VIDEO) TRHs The Duke and Duchess of Rothesay Continue Their Visit to Scotland. On Wednesday, June 24, 2015, Their Royal Highnesses The Duke and Duchess of Rothesay continued their visit to Scotland. The day began with a visit to the Glasgow School of Art where the duke toured the school which was “…significantly damaged during a fire in May 2014 and is currently undergoing a restoration project…” according to Clarence House. Thereafter, the duke accompanied by The Duchess of Rothesay visited the Clutha Bar in Glasgow. At the end of the day, the duke and duchess attended the Dumfries House Fun Dog Show in Ayrshire. 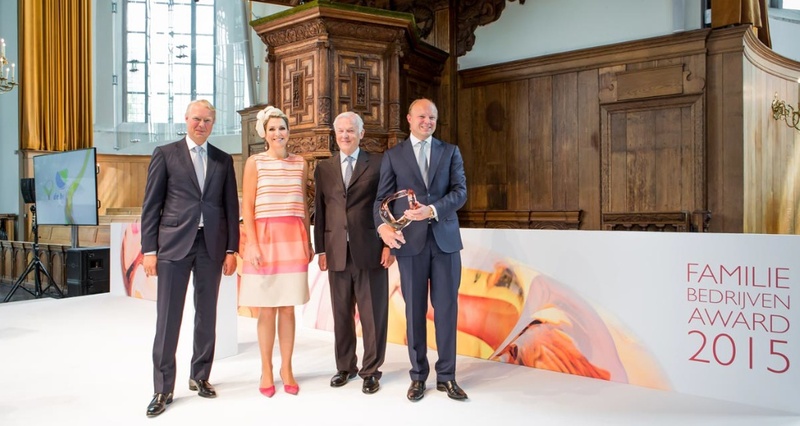 HM Queen Maxima of the Netherlands Attends the 2015 Familiebedrijven Award. On Wednesday, June 24, 2015, Her Majesty Queen Maxima of the Netherlands attended the 3rd Edition of the Familiebedrijven Award held at the Nieuwe Kerk in Den Haag. (VIDEO) TRHs The Duke and Duchess of Rothesay Visit Scotland. On Tuesday, June 23, 2015, Their Royal Highnesses The Duke and Duchess of Rothesay — aka The Prince of Wales and The Duchess of Cornwall — began their four-day visit to Scotland. The day began with a visit Selex ES where the duke attended an event to “…mark National Women in Engineering Day. [Whilst there the duke met with] groups of primary school girls who are participating in a range of engineering-related activities that exemplifies engineering as a creative career choice…” according to Clarence House. (VIDEOS) Her Majesty Queen Elizabeth II and HRH The Duke of Edinburgh Visit Germany. On Tuesday, June 23, 2015, Her Majesty Queen Elizabeth II and His Royal Highness The Duke of Edinburgh began their three-day state visit to Germany. Upon their arrival at Tegel Airport in Berlin Her Majesty and the duke were warmly welcomed to the country by the British Ambassador as well as the “…German military honor guard lining their route to their car, while artillery fired a 21-gun salute and fighter jets overflew the area in tribute…” according to the Associated Press. After a quick stop at the Hotel Adlon, Her Majesty Queen Elizabeth II and HRH The Duke of Edinburgh met with the President of Germany, Mr. Tomorrow, Her Majesty and the duke will met with the Chancellor of Germany, Ms. Angela Merkel, and take a boat ride along the Spree River in Berlin. (VIDEO) Queen Sofia of Spain Receives an Award. On Tuesday, June 23, 2015, Queen Sofia of Spain received the UNICEF Comité Español’s 2015 Joaquín Ruiz-Giménez Award. The ceremony, presided over by Her Majesty Queen Letizia of Spain, was held at the Consejo Superior de Investigaciones Científicas in Madrid. 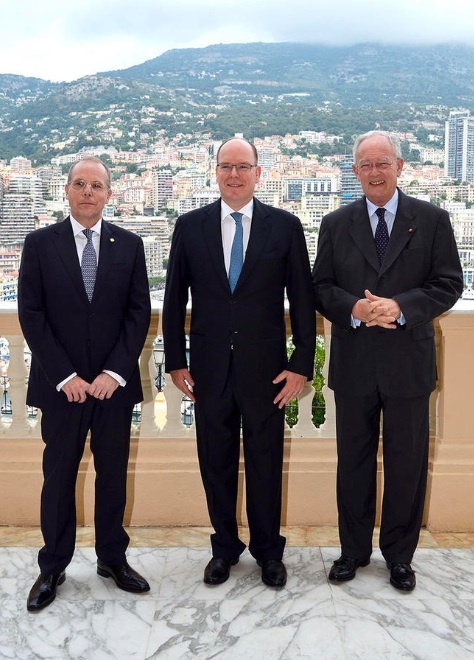 (VIDEOS) News Regarding His Serene Highness Prince Albert II of Monaco. On Friday, June 19, 2015, His Serene Highness Prince Albert II of Monaco inaugurated the Maison de l’Apidologie à Mazaugues in southeastern France. The new laboratory “…will protect the bees by studying their operations and promoting their fertility…” according to the Palais Princier. And, finally, this afternoon, the sovereign prince received credentials from the Ambassador of Italy, Mr. Massimo Lavezzo Cassinelli, at the Palais Princier de Monaco. Her Majesty Queen Maxima of the Netherlands Attends a Conference in Utrecht. On Monday, June 22, 2015, Her Majesty Queen Maxima of the Netherlands attended the conference, The Future of Farming and Food Security in Africa, held at the RABO Bank headquarters in Utrecht. Today’s conference focused on “…food security and supply in Africa…” according to RVD. 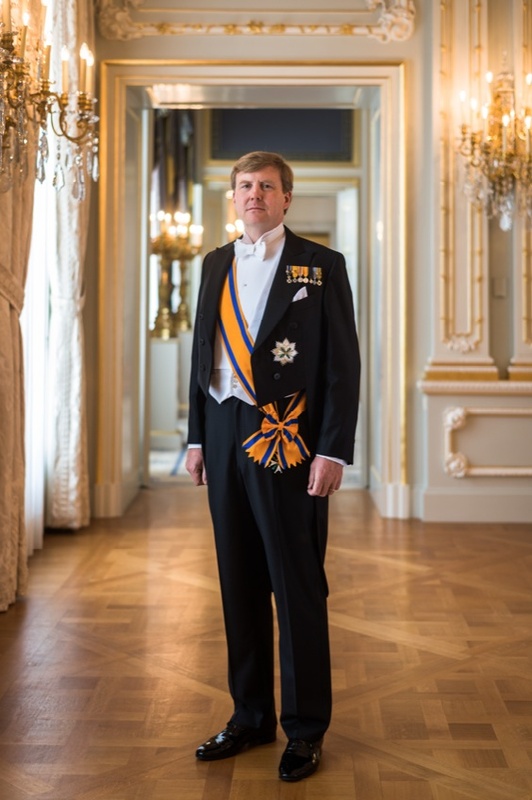 HM King Willem-Alexander of the Netherlands Launches the 10th Edition of Burendag. On June 19, 2015, His Majesty King Willem-Alexander of the Netherlands launched the 10th Edition of Burendag in Harderwijk. Burendag, known as Neighbor’s Day, us organized by the Oranje Fonds and Douwe Egberts. (VIDEOS) Belgian, Dutch, and Luxembourg Royals Commemorate the 200th Anniversary of the Battle of Waterloo. On Thursday, June 18, 2015, Their Majesties King Philippe and Queen Mathilde of Belgium, Their Majesties King Willem-Alexander and Queen Maxima of the Netherlands, Their Royal Highnesses Grand Duke Henri and Grand Duchess Maria Teresa of Luxembourg, and His Royal Highness The Duke of Kent celebrated the 200th anniversary of the Battle of Waterloo in Waterloo, Belgium. Click here, here, and here to watch video news reports. (VIDEOS) News Regarding TSHs Prince Albert II and Princess Charlene of Monaco. On Friday, June 12, 2015, His Serene Highness Prince Albert II of Monaco officially opened the exhibition, Grace Kelly: Princess and Style Icon, held at the Heydar Aliyev Center in Baku, Azerbaijan. And, finally on Sunday, June 14, 2015, Prince Albert II and Princess Charlene attended the 33th Annual Meeting International de Natation gala dinner in Monte-Carlo. 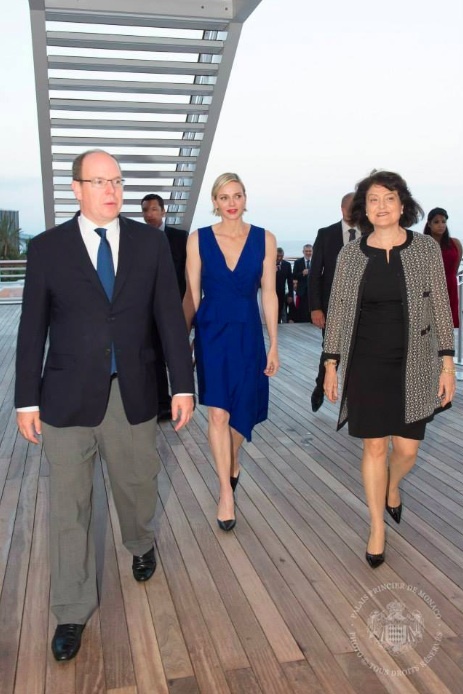 TSHs Prince Albert II and Princess Charlene of Monaco Host a Cocktail Party. On Wednesday, June 17, 2015, Their Serene Highnesses Prince Albert II and Princess Charlene of Monaco hosted a lovely cocktail reception at the Palais Princier in Monaco for those attending the 55th Annual Festival de Télévision de Monte-Carlo.